New Jersey has 127 miles of ocean shoreline for boating, fishing and other water sports. With the Delaware River as our State border to the west, the Atlantic Ocean to the east, and many other waterways within New Jersey’s boundaries, hundreds if not thousands of people partake in activities on the waterways. Regrettably unfortunate accidents occur. Victor Rotolo, Steven Karch, and the attorneys at Rotolo Karch Law have the experience to advocate for your rights. 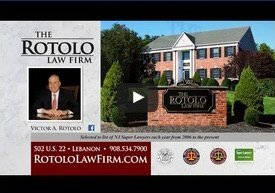 Mr. Rotolo, the founding attorney of Rotolo Karch Law, is a lawyer who has spent his life protecting people, first as a police officer and now as an attorney. Accidents involving water or watercrafts often happen as a result of the negligence of others. Just like motorists, captains or drivers of boats are held accountable for the safe operation of their vehicles at all times. The lawyers at Rotolo Karch Law work to ensure that negligent boat drivers are held accountable for the injuries caused. We investigate water-related accidents whether it be related to fishing or crashes involving recreational boats. Rotolo Karch Law can handle commercial boating cases, ferry injuries or other similar water vehicle cases as well as accidental drowning. Unfortunately, drinking in excess while operating an aquatic motorized vehicle on any of New Jersey’s waterways continues; all too often people drink excessively. As is similar to motor vehicle accidents on highways and roadways, collisions and injuries occur on our lakes, rivers and ocean sometimes sadly resulting in drowning or fatal boating accidents because the driver had too much to drink. When a boating fatality or accident occurs, the driver may be found liable in Court for any injuries or fatalities. When looking into boating accidents, Rotolo Karch Law will hire investigators, consult with prominent medical professionals, and work with maritime experts who explain how an accident occurred and how it could have been prevented by obeying the law. Common types of accidents involving open motorboats are collisions with other vessels, accidents involving skier mishaps, and falls overboard; however, the causes of boating accidents vary a great deal. If another’s negligence or faulty equipment caused your boating accident injuries, you may be entitled to compensation. 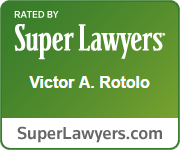 Rotolo Karch Law has represented many clients with serious injuries. 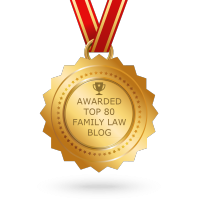 No upfront fees are required, and our Firm will only receive payment if you are awarded monetary compensation. 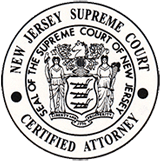 If you have questions about a case or have been involved in a boating accident, contact the New Jersey personal injury firm of Rotolo Karch Law and set up an appointment for a free evaluation. Realizing that some injuries make travel difficult, don’t hesitate to call Rotolo Karch Law; our attorneys will make arrangements to meet you when and where it is convenient for you.